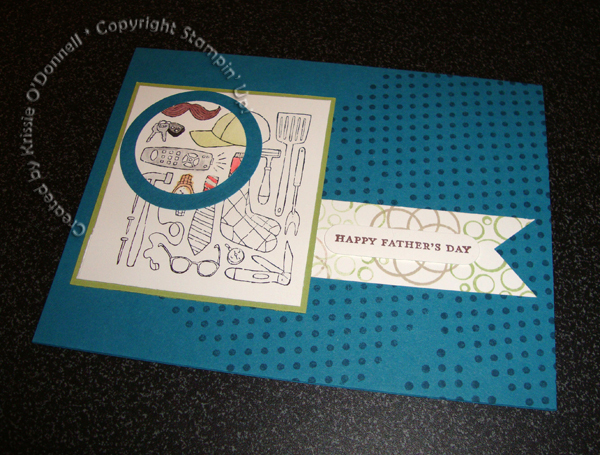 Father’s day isn’t for months, but I did want to make a card for my dad and I thought that might be the next occasion 🙂 So I made this and will save it for June. I used the spotlighting technique for the first time! I think I should have probably used circle punches that were closer in size but its alright.